Not only would a job help migrants to provide for themselves, but also to integrate more easily. Parliament's employment committee discussed the opportunities and challenges with experts on Thursday 18 February. Read on to find out what they and MEPs had to say. 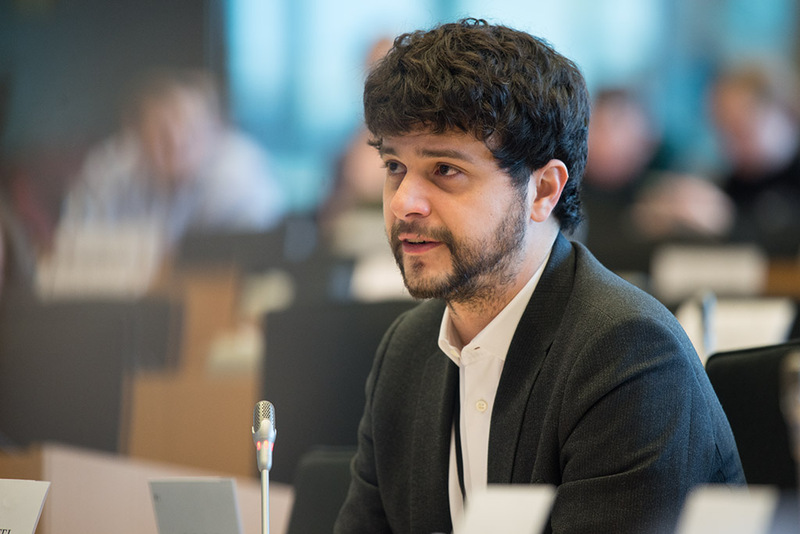 Brando Benifei is currently writing an own-initiative report on how to integrate refugees in the labour market and the meeting was held to provide him with input from experts. The Italian member of the S&D group said the integration and social inclusion of refugees was a highly "politicised topic". The EU only has limited competences regarding these matters and it is mostly up to member states to decide what the conditions for access to the labour markets are and as a result there are various differences between countries. Experts stressed during the meeting there were no simple solutions. Denis Haveaux, director of the Red Cross EU office, said: "Successful integration requires considering not only measures to support labour market inclusion, but also other additional measures and services such family reunifications, access to healthcare, psycho-social support and rehabilitation, legal counsel, as well as language training." One of the points raised was the length of asylum procedures, which Hala Akari, from the Syrian National Refugee Association and Mariestad People's Initiative from Sweden, criticised as being too long. In addition speakers stressed the need for common standards for the recognition of qualifications and the assessment of soft skills in the EU. Jean Lambert, a UK member of the Greens/EFA group, asked how a systemic way of evaluating the existing skills of people could be created. Wolfgang Mueller, from the German Federal Employment Agency, added: "Today's refugees should not become tomorrow's long-term unemployed." Jutta Steinruck, a German member of the S&D group, warned that helping refugees should not come at the expense of existing unemployed people: "Everybody looking for a job in Europe should be treated equally. It does not matter whether they are EU nationals or people from other parts of the world." Participants also stressed the need for solidarity. Ryszard Cholewinski, a migration policy specialist at the International Labour Organization, said EU countries should overcome their "lack of solidarity". Values were also important. Europe has to base itself now on its values especially to combat all forms of xenophobia, said Elisabeth Morin-Chartier, a French member of the EPP group. "Europe is a point of attraction for all peoples particularly because of the values it represents." Some, however, said there was a lack of consensus on how to integrate refugees. Czeslaw Hoc, a Polish member of the ECR group, classified some of the points raised as "wishful thinking": "Every country has its own national identity. Integration without assimilation is a utopia." The meeting was chaired by employment committee vice-chair Marita Ulvskog, a Swedish member of the S&D group. Read our article on the integration of refugees in Europe.